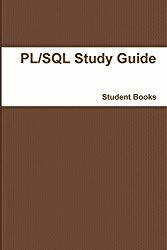 This book introduces the main features of the PL/SQL language. It shows how PL/SQL meets the challenges of database programming, and how you can reuse techniques that you know from other programming languages. PL/SQL lets you use all the SQL data manipulation, cursor control, and transaction control commands, as well as all the SQL functions, operators, and pseudocolumns. This extensive SQL support lets you manipulate Oracle data flexibly and safely. Also, PL/SQL fully supports SQL datatypes, reducing the need to convert data passed between your applications and the database.